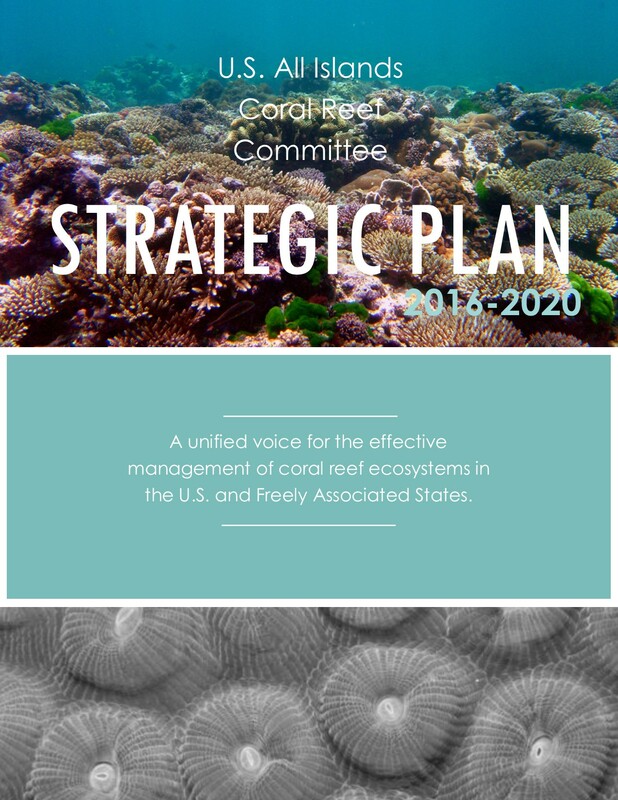 The 2016-2020 strategic plan sets out effective and worthwhile goals addressing three key needs in the jurisdictions and Freely Associated States: 1) Sufficient capacity, 2) Adequate and sustained funding for coral reef management, and 3) Jurisdiction/FAS-federal integration towards resource-focused outcomes. The fourth goal is specific to capacity and effectiveness of the AIC itself. These goals are balanced against the realistic limitations of the AIC. This plan builds on the AIC’s previous plans and helps define the focus and direction of the Committee over the next five years. Learn more about our plan here. The AIC Communications Plan was developed by the Points of Contact in 2006 as a blueprint for ensuring efficiency, clarity, and responsibility for AIC members, the Committee as a whole, and the Executive Director of the Secretariat. The plan was updated in 2015. The AIC was developed by the AIC and Secretariat in 2007 and clarifies the duties of committee members and provides for implementation of initiatives, including establishment of the AIC Secretariat, membership, and roles of committee officers. The charter was updated in 2014. 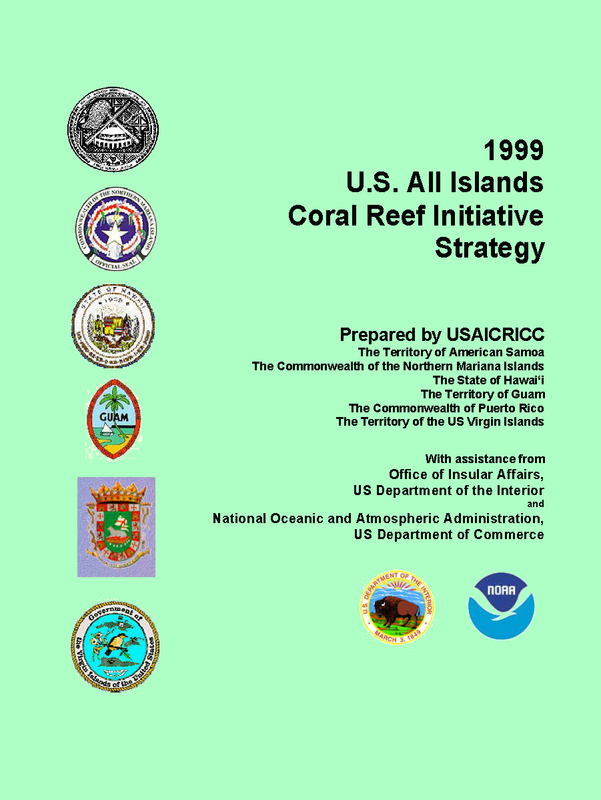 A workshop was held on Maui, Hawai’i, September 25-26, 1997 with representatives from American Samoa, the Commonwealth of the Northern Mariana Islands, Guam, Hawai’i, Puerto Rico, the U.S. Virgin Islands, and federal agencies. They met to discuss the status of the Coral Reef Initiative and to explore future directions for improving the management of coral ecosystems. Participants considered the future coral reef ecosystems and management, and formulated additional ideas for updating their regional plans and developing activities that would facilitate achievement of their shared visions. The information contained within this report, represents the accumulation of knowledge from local people working with various aspects of local coral reef initiative implementation. 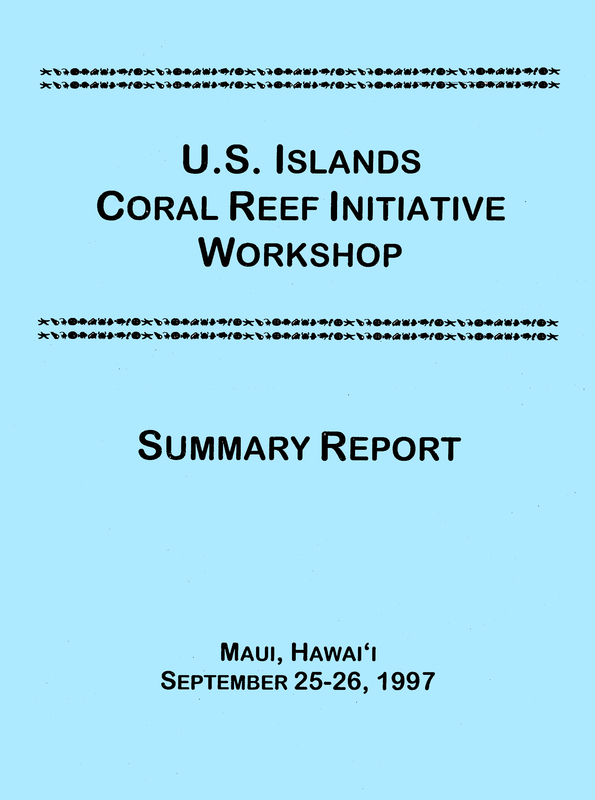 This document is the official 1999-2000 update to the 1997 U.S. Islands Coral Reef Initiative Workshop Summary Report. It reflects the island visions for coral reef management strategies through projects and programs that are jurisdiction-specific as well as regional, national, and international in scope. Through the islands’ partnership with federal agencies, the strategics and products herein are not only important to each jurisdiction. and to the islands as a whole, but to the U.S. Coral Reef Initiative effort as well. This Interim Strategy builds upon the Local Action Strategies and served as a transition to the islands planning process for a long-range plan. The Interim Strategy contains local state, territorial, and commonwealth priorities and project and regional project intended to meet the needs of more than one jurisdiction. 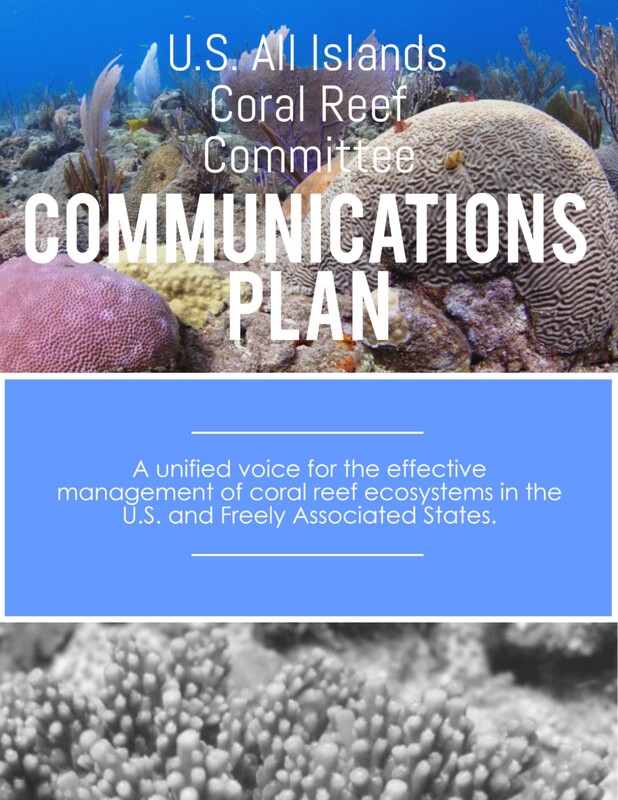 The U.S. All Islands Coral Reef Committee (AIC) Strategic Action Plan (2008-2013) was produced by the AIC and Secretariat in 2007, in cooperation with the Office of Insular Affairs, U.S. Department of the Interior, and the Coral Reef Conservation Program of the National Ocean Oceanic and Atmospheric Administration (NOAA), U.S. Department of Commerce. The plan was updated in 2010 and the AIC agreed to extend the plan for a year (2008-2014) in August 2013. Be ready for the New Year with this printable calendar from the AIC. Prints all months on one 8.5 x 14″ sheet. Full color or black and white — your choice! Sign-up to receive our e-newsletter here. It includes updates from the AIC, new AIC blog posts, grant information, upcoming events and opportunities, media hits, resources, new publications, and the newly posted resources on NOAA CoRIS. 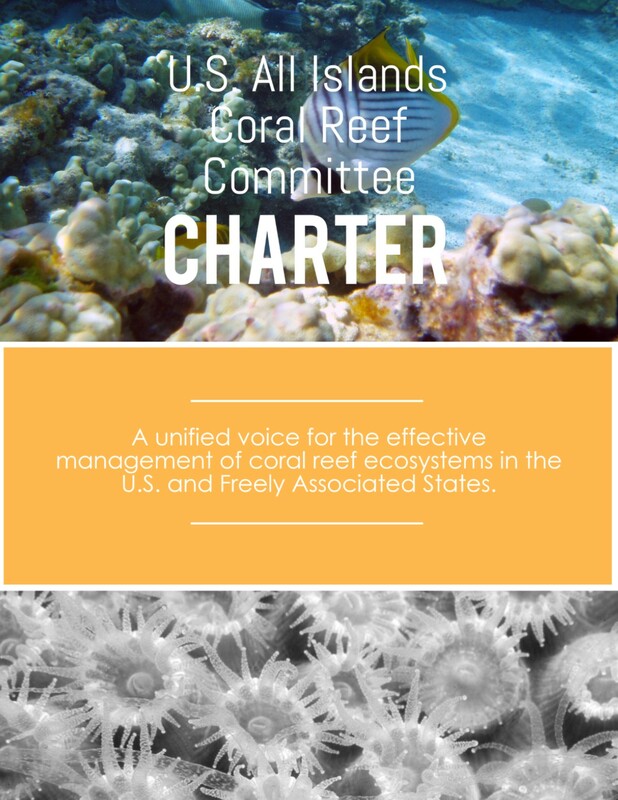 Key resolutions adopted by the U.S. Coral Reef Task Force. To view all USCRTF resolutions, click here. Recognition and Support for the All Islands Coral Reef Committee Strategic Action Plan and Charter 2007 supports the AIC 2008-2013 strategic plan and the AIC Charter. Renew and Strengthen Support for Local Action Strategy Initiative 2007 re-affirms and strengthens support for the existing Local Action Strategies (LAS) and development of new LAS. Coral Reefs and Climate Change 2007 encorages USCRTF members to take actions to confront the serious challenges of climate change. Puerto Rico Resolution 2002 provided for Local Action Strategies in the seven AIC jurisdictions. Maui Resolution 1999 supported the existing U.S. Islands Coral Reef Initiative as a priority for new funds proposed in President Clinton’s FY00 Lands Legacy Initiative.